Are you ready to visit Mobay after reading my "Quick, Affordable, Weekend Getaway - Jamaica" post? 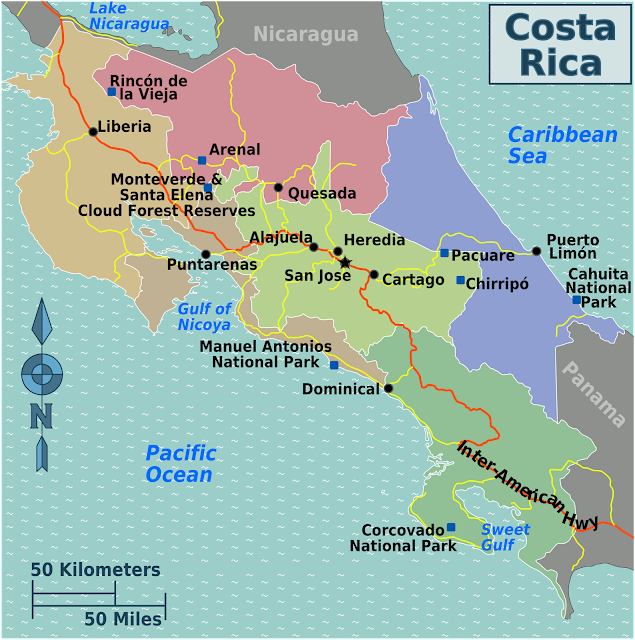 Take a trip and come see for yourself why I'm so in love with my home country. Get ready for a trip to remember and for your taste buds to have a party with the Jamaican cuisine. Have you ever been in water so clear that you can see tiny fishes swimming at your feet? 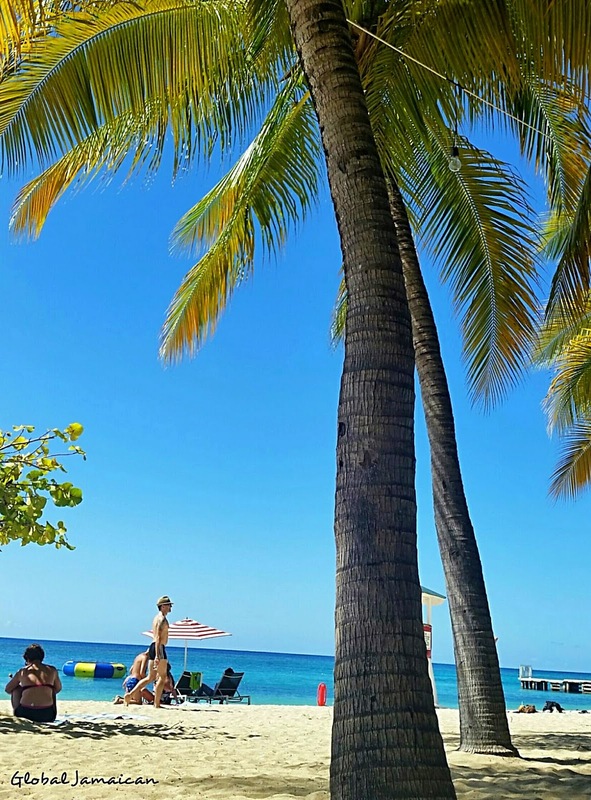 A visit to Mobay is not complete without a day at Doctor's Cave. It is said that the water has healing powers and was made famous after Sir Herbert Barker, a British Osteopath, visited in the 1920's and later wrote an article about it. The beach is located on Mobay's "Hip Strip", which I'll get to next, and within 5 minutes from the airport. 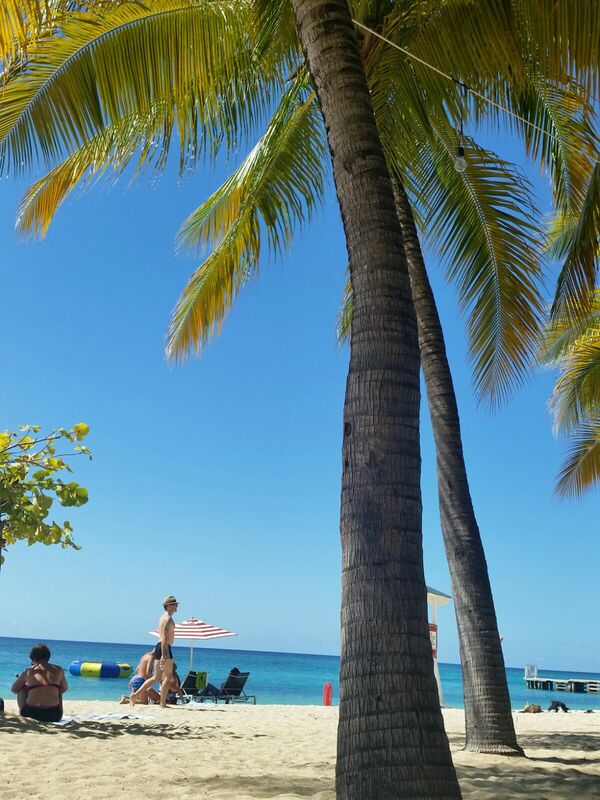 You can watch the planes descending to land, while soaking up the warm Caribbean sun. Admission is US $6.00 per person for adults and US $3.00 per person for children under the age of 12. Facilities at the beach include changing rooms and showers, multiple shops, a cyber café, a bar and restaurant. Beach chairs, umbrellas and floats are available for rent at $6.00 per item for the day. There is also a gym that can be accessed for US $12.00 daily or US $24.00 weekly. Stroll along the "Hip Strip"
Gloucester Ave., otherwise known as Mobay's "Hip Strip" has everything you need to fill a day and night with. It's also a popular stop for cruise ship passengers, being a quick 10 minute ride from the pier. 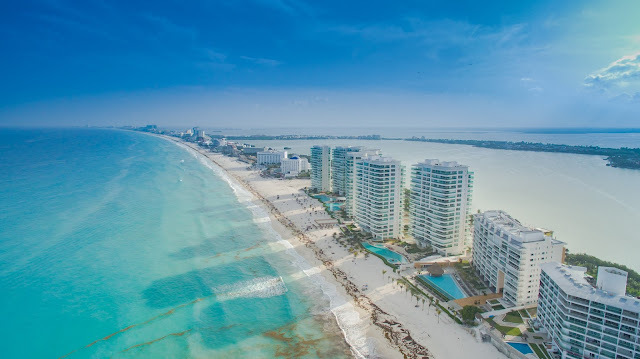 Doctor's Cave Beach is in the middle of the Hip Strip and to either side, you'll find hotels, bars, restaurants, shops, clubs and more. Get your adrenaline pumping by sliding down their 120-foot water slide. There are also 2 water trampolines for your enjoyment. After you work up an appetite, sit back and enjoy the view while you enjoy international or local food from the on site restaurant. At night time, Margaritaville transforms into a nightclub with an in-house DJ and themed nights. 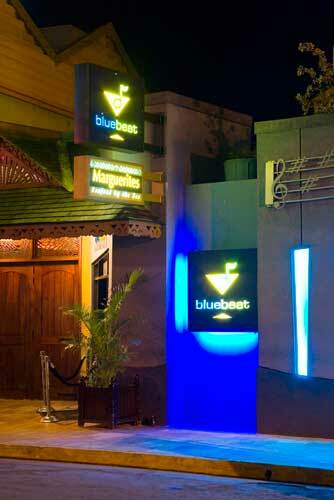 Blue Beat is an ocean front jazz and martini bar with an outdoor patio and indoor lounge. 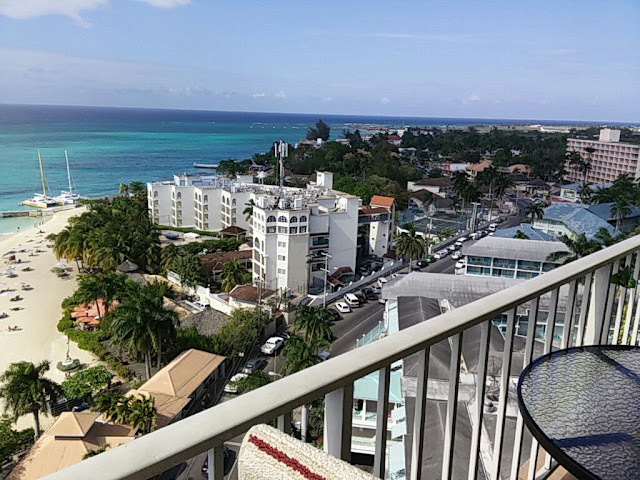 It has a South Beach vibe with a Jamaican twist. There are nightly events, including live jazz and other themed nights. 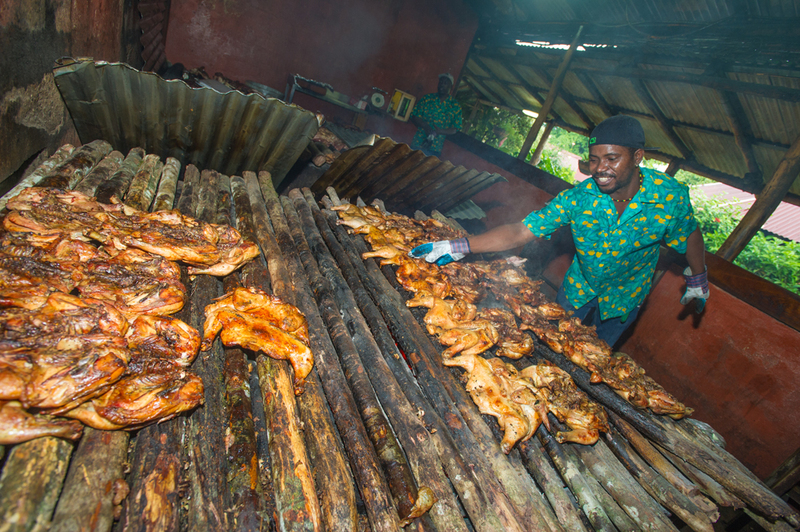 A visit to Jamaica is not complete without trying our famous jerk chicken or pork. The Pork Pit is one of the two places I recommend. Jerk is a type of style of cooking that is native to Jamaica. The meat is seasoned with the jerk mixture, which is very spicy. The two main ingredients are pimento (all spice) and scotch bonnet peppers. Traditionally, you will order your choice of meat with a choice of sides. My favorite sides are festivals (fried bread made with cornmeal) and roast breadfruit (a starchy fruit used as a vegetable). Insider tip: ask for a side of rib sauce. This sauce, made in-house, is so good that I smother it all over my chicken/pork. Also, pair your jerk with a Jamaican Red Strip Beer. An entire meal: Quarter jerk chicken, sides of festival and a Red Stripe will cost you under $10 US. That's the best part! Don't want to miss the game while on vacation? Biggs has you covered. Equipped with high definition TVs and surround sound, you can watch the game while enjoying bbq ribs, chicken, pork, beef brisket or sausage. Click here to see the full menu. If you're prefer a more quiet meal with a view, you can also dine on their patio overlooking the ocean. Probably one of the oldest restaurants that's still around. 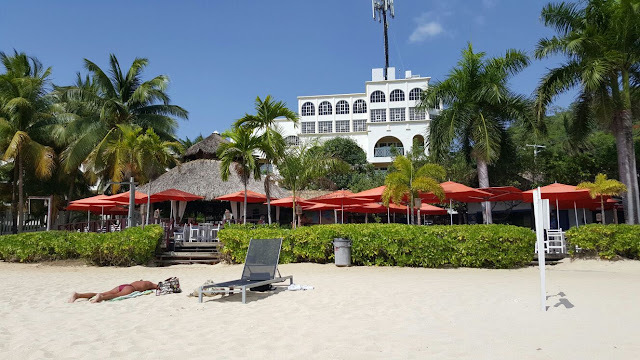 The Pelican in Mobay is one of the city's iconic landmarks, visited regularly by loyal locals, as well as tourists seeking authentic Jamaican food. Click here to see the menu. 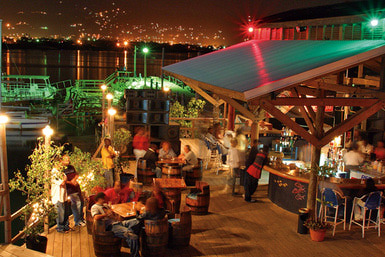 Pier One is a seafood restaurant by day and the most popular Friday night party spot in Mobay. As it's name suggests, it's situated on a long pier that extends out into the ocean. This provides for a picturesque backdrop while enjoying a meal, especially at sunset. On Friday nights, Pier One is always full. Party goers dance the night away, under the stars, to the latest international and Jamaican music. Celebrities are known to make this their Friday night stop when in town. 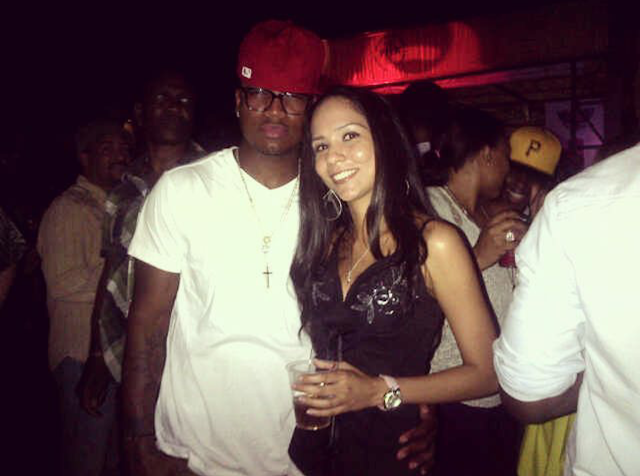 I even met R&B singer Ne-Yo once! Less than an hour outside of Montego Bay, in the parish of Trelawny, you'll find the Martha Brae River. Named after an old Arawak witch, legend says that Spanish treasure hunters captured her to lead them to find gold. She misled them into a cave, where she disappeared. She then changed the course of the river to block the cave and kill Spanish settlers. On this off the beaten path type excursion, you'll sit back, relax and enjoy nature, while your tour guide steers your bamboo raft for over 3 miles down the river (approximately 1 hour). The rafts are 30 feet long and are manned by licensed and experienced raft captains. In the embarkation area, known as the "Rafter's Village," you'll find a bar, souvenir shops, a herb garden, a swimming pool and restrooms. In the disembarkation area, known as "Martha's Rest," you'll find a souvenir shop, bar, lounge area and restrooms. 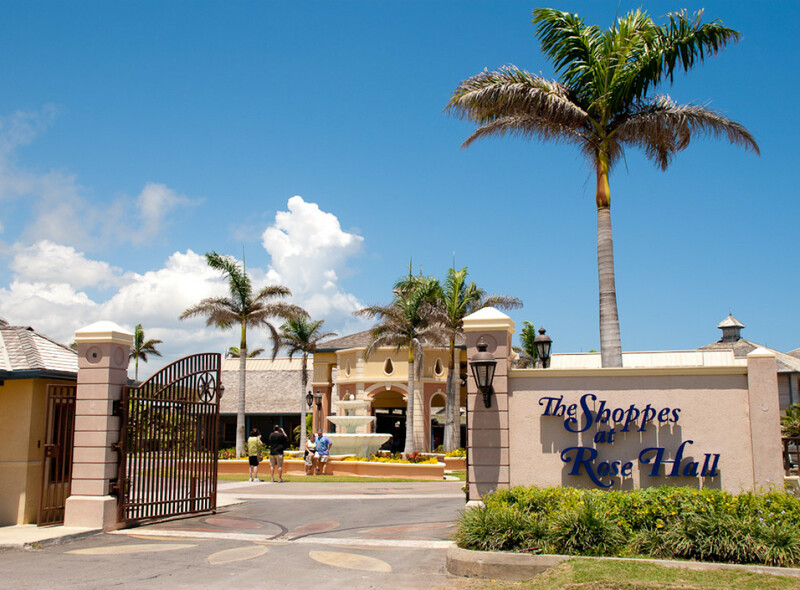 Spend a couple hours walking around The Shoppes at Rose Hall. 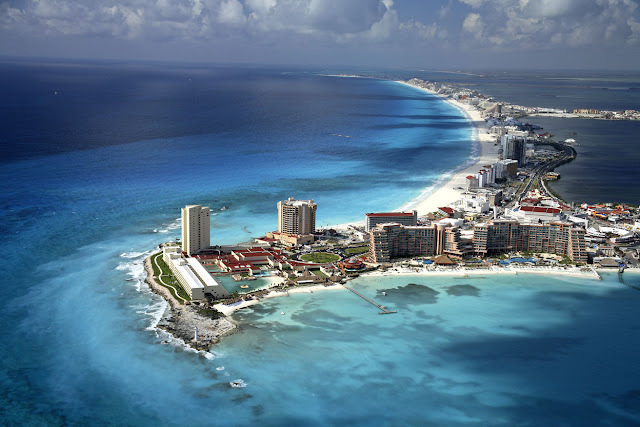 You'll find boutique stores, duty free stores, souvenir stores, a liquor store, a coffee store and a café. Coffee lovers, be sure to purchase some Jamaican Blue Mountain Coffee to carry back home. Have you ever visited a haunted house/mansion on your travels? Rose Hall Great House, the most famous house in Jamaica, is a Georgian style mansion built in the 1770s, famous for the legend of the White Witch of Rose Hall. The legend says that Annie Palmer moved to Jamaica from Haiti and married the Owner of the Rose Hall Plantation, John Palmer. She murdered him and her two subsequent husbands, as well as numerous slaves. She was later murdered by a slave named Takoo. It's said that Annie haunts the grounds of the plantation. 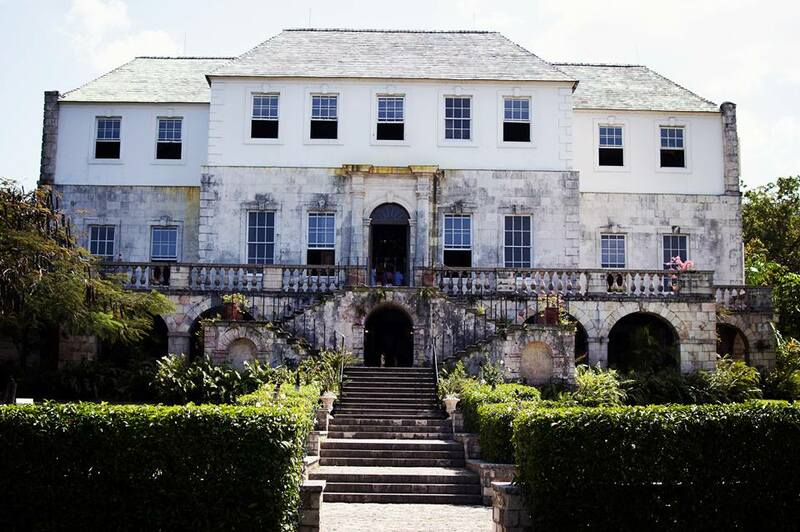 If you're not too frightened, there are numerous tours (day and night) that you can choose from, if you'd like to see Rose Hall when visiting Mobay. Rated the number one restaurant in Mobay by TripAdvisor, Scotchies is a must! 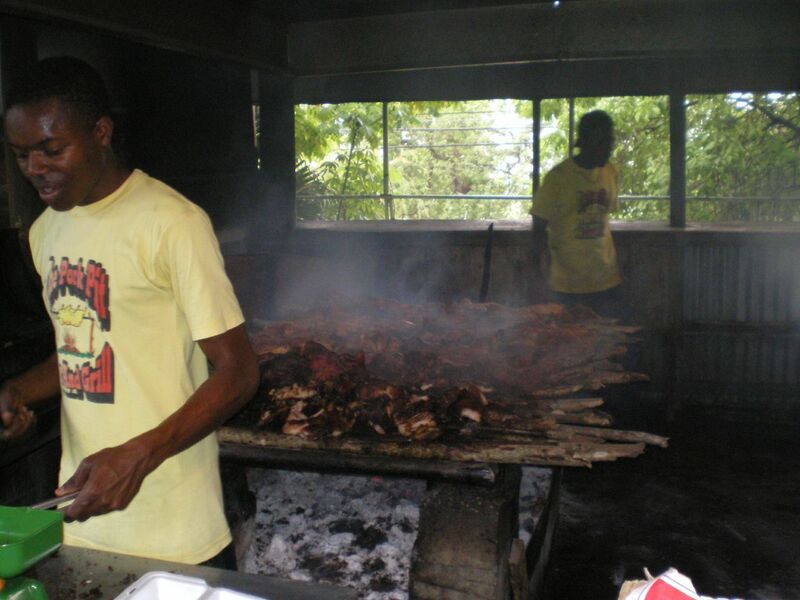 It is known to serve the best jerk chicken and pork in Jamaica. The prices are reasonable and it has a rustic, outdoor casual setting with Tiki style seating. There is also a full service bar, which makes for a popular after work hang out spot with locals. I always say, when traveling, find where the locals eat. Feeling like splurging just a bit? 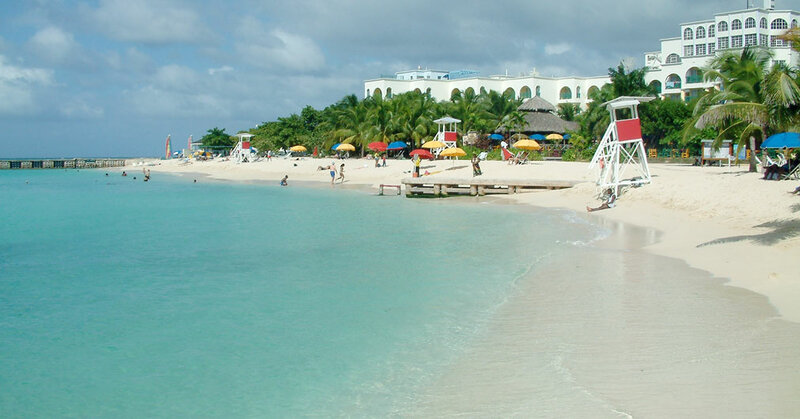 Spend it on a unique dining experience and at one of the top restaurants in Mobay. This restaurant, built into a houseboat, is an casually elegant or romantic dining option, offering breathtaking views of the lagoon and surrounding hills in Mobay. Located in a community called Freeport, upon arrival you will be transported to the restaurant (10 feet away) on the "floating bridge." There is a also a full service bar on the upper deck that hosts a popular happy hour everyday between 5:30 & 7:00 pm. Click here to see a full menu. The prices are in Jamaican Dollars, so you'll need to use a converter. 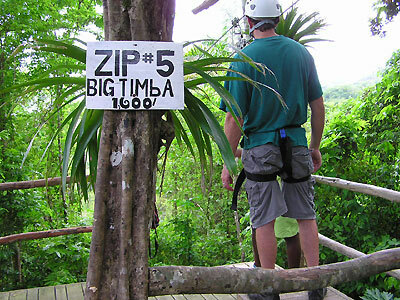 Jamaica Zipline Adventures offers a Canopy Tour with Fruit Tasting, just 30 minutes southwest of Mobay. 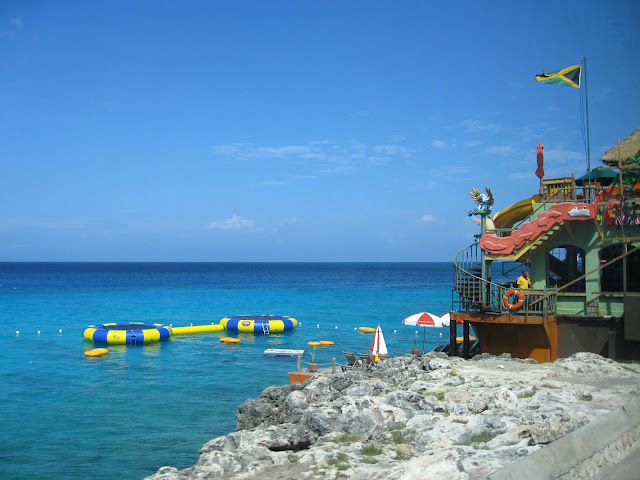 Transportation is included from most Mobay locations, including both cruise ports. The tour last 2.5 hours and it's most famous line is called the "Big Timba." At 1600 feet long, you'll soar over farmland and the Great River, reaching speeds of 40 mph. Enjoy the Caribbean Ocean air, explore it's beautiful coral reefs and dance to reggae music. Island Routes offers a fun cruise along the coast of Montego Bay. 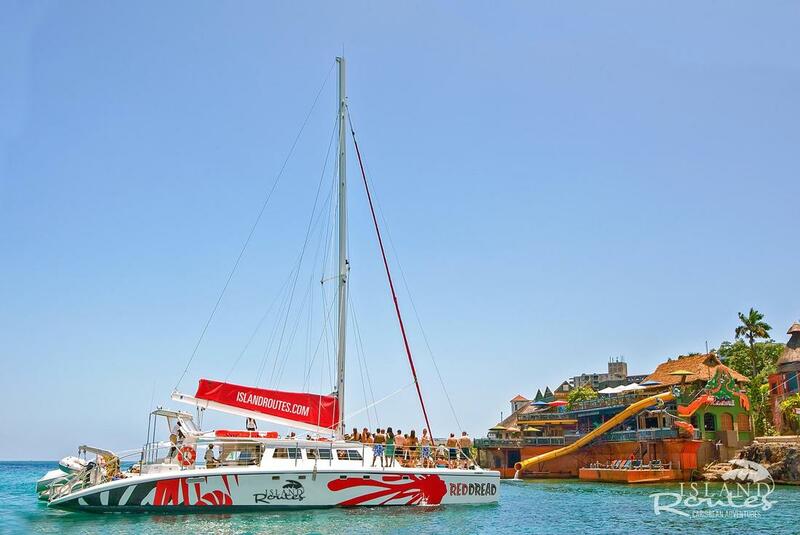 Reggae music, appetizers, unlimited cocktails and snorkeling are all included. There's even a stop at the Margaritaville that was mentioned earlier. The tour lasts for approximately 3 hours. 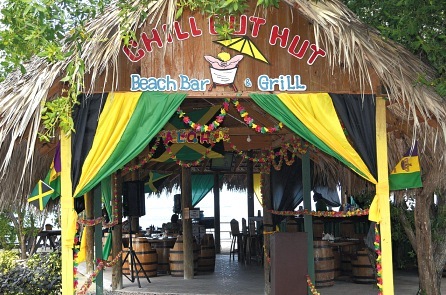 One of my favorite places to spend a Friday or Saturday Evening is Chill Out Hut. 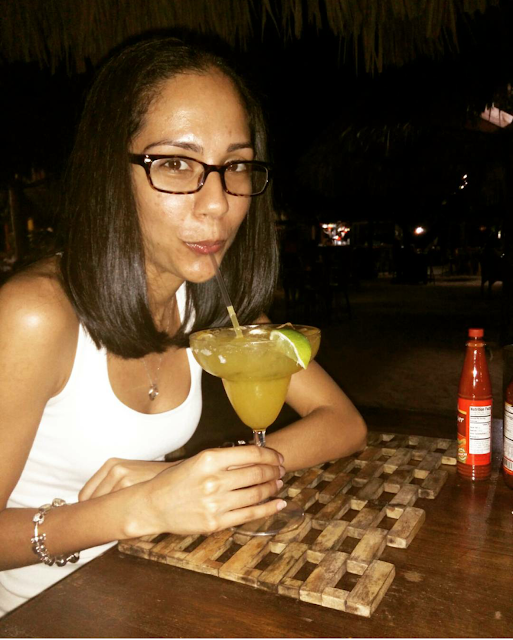 Located on secluded beach, this restaurant and bar with Tiki style seating, specializes in seafood. My favorite is the escovitch fish and bammy. 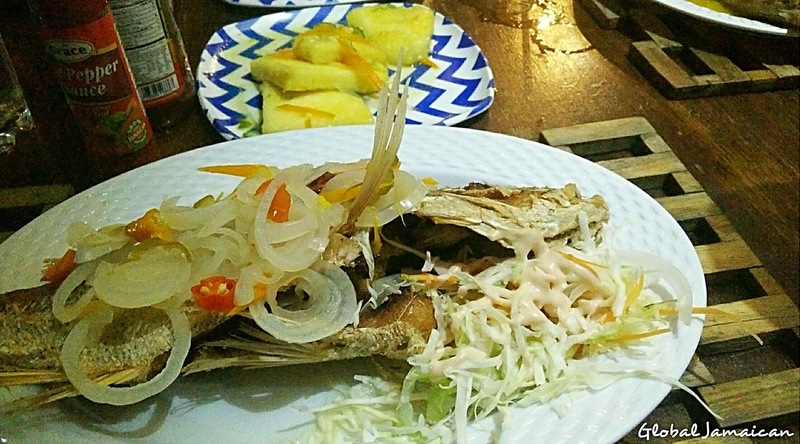 Escovitch is a pickling sauce that is poured on fried fish and bammy is a traditional Jamaican cassava flat bread. The atmosphere is lively on the weekends, with a live band performing right on the sand, creating a real Caribbean vibe. The prices are reasonable and they also have a full bar with an extensive drink menu. Do not, I repeat do not, leave Jamaica without trying a Jamaican Patty. 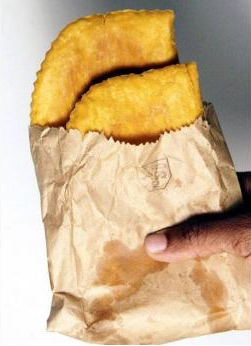 One of the most popular and inexpensive foods in Jamaica, the patty is a beef pie in a flaky crust. Other variations may include chicken, pork, lamb, vegetables, shrimp, lobster, fish, soy, ackee, mixed vegetables or cheese. It is popular to eat the patty by placing it in a coco bread, to form a sandwich. It has been rated one of the world's best street foods and is a must try while in Jamaica. That was a taste of what my home country has to offer. I could keep going on and on, so lookout for future posts on what to do in other parts of the island. In the mean time, come to Mobay. We welcome you!